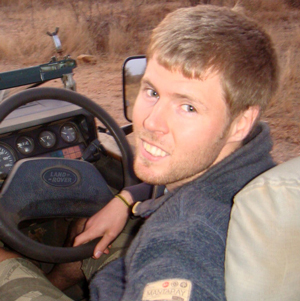 Trained as a field guide, teacher, tracker, and snake handler, with a variety of other skills under his belt, Wildfoot’s Anthony Gregory is a wildlife fanatic with a love for remote places combined with unwaning supply of enthusiam. Here he looks back at his days working as a safari guide in Africa and gives us a first hand account of one of those days. 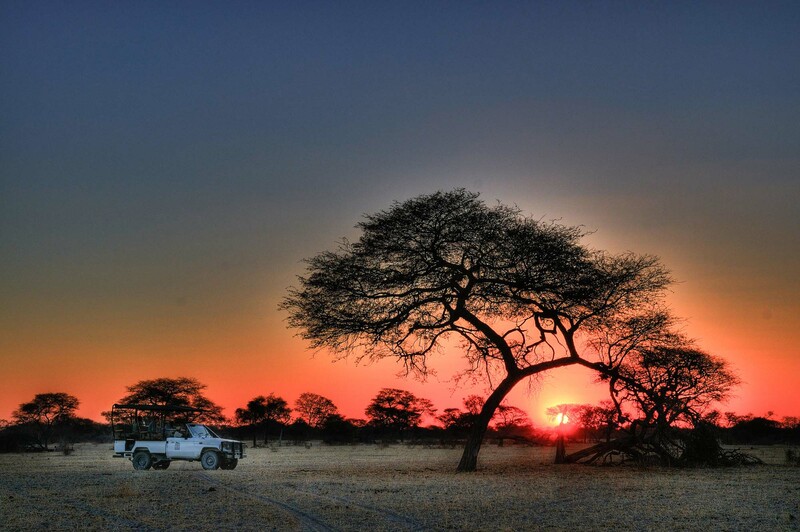 5am – “I never knew of a morning in Africa when I woke up and was not happy” as Ernest once said, and I feel the same; time for another fantastic day in Africa! I wake up to the sound of the pre-dawn chorus: Guineafowls and Francolins squabbling in the early light. Roll out of bed for a quick wash and to get dressed (with plenty of layers, it’s not warm in the morning!). Do a quick check to make sure the vehicle is clean and ready to go and all supplies for the guests are ready and I have a quick chat with the other guides to discuss today’s route. 6am – Greet the guests and see how they all slept. Over a cup of tea and biscuits, check if anyone heard the lions and hyenas calling in the night and help identify any other night noises people heard. Make sure everyone’s good to go, then jump into the vehicle to start our drive, keeping our eyes peeled for the local inhabitants. The morning is a good time for seeing birds, and Africa has some beautiful ones: Rollers and Kingfishers are out hunting bright and early, along with the Guineafowl who are looking for breakfast now too. 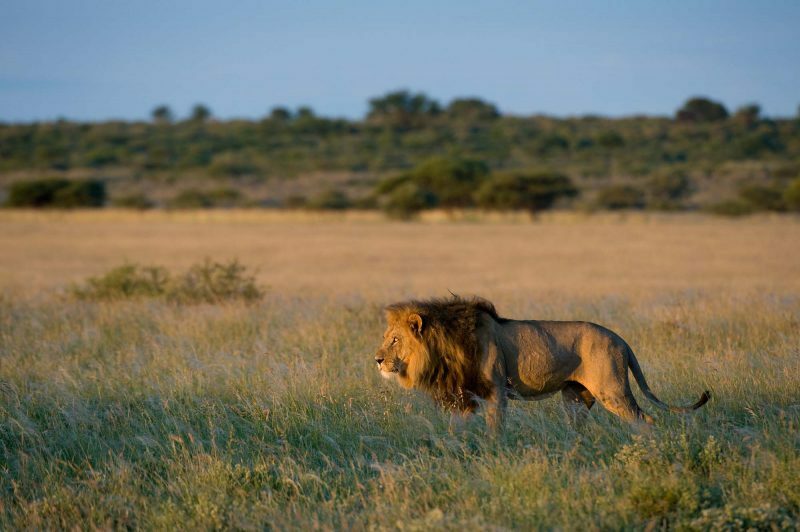 8am – Having found the lion in question, we watch him for an hour going about his morning routine of scent marking his territory, grooming himself, and his favourite pastime of sleeping. While watching him, I explain some of the behaviours of lions, to dispel some fears that the guests may have from being so close to a large predator. 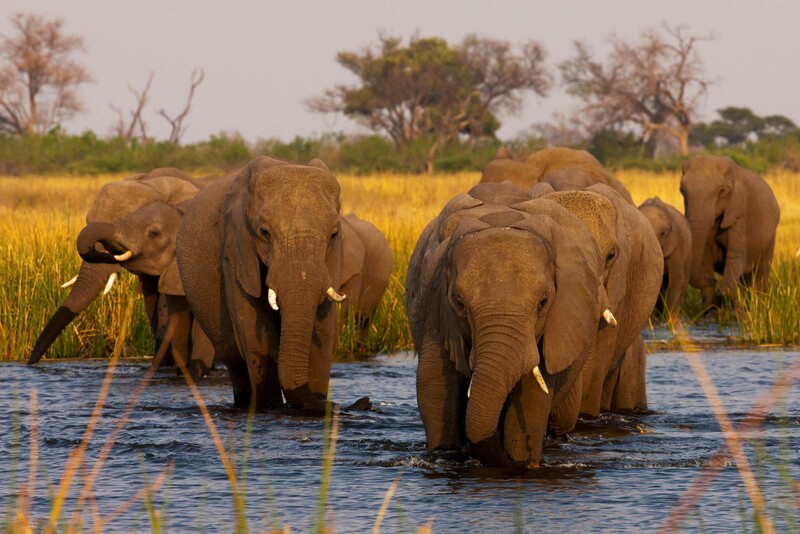 We later stop at a waterhole for tea/coffee and biscuits to watch a herd of buffalo come for their morning drink. The crisp, damp smell of the morning is gradually replaced by the dry scent of the grasslands as the day warms up and we all shed a jumper or two. 9am – Stopping by the lion on the way back to camp, we discover that he’s now been joined by his two brothers. We get some more photos before they also flop down to sleep for the day. Seeing three magnificent male lions together is definitely a nice way to start your day! After taking our leave from the lion brothers, we then head back to camp for a proper breakfast and I explain to the guests what’s in store for the rest of the day. 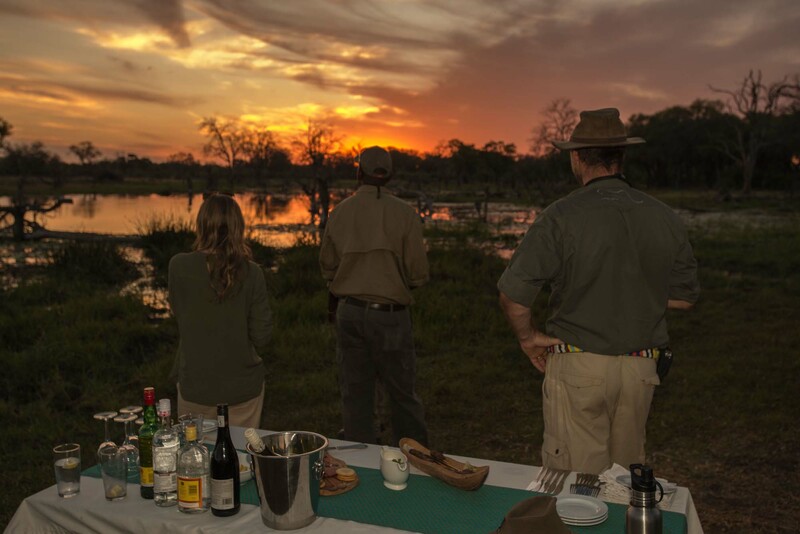 10.30am – After breakfast is over and guests have had a chance to relax and recover from the morning’s excitement, any interested guests are welcome to join me for a bush walk around the fringes of camp. Unlike the drive, this time I’m looking for the other stuff that is often missed, like the plants, invertebrates, and tracks and signs. This is a great opportunity for the kids to learn a bit about the bush, like how to tell the difference between lion and hyena tracks, how to identify a baboon spider burrow, and how to use a magic gwarri bush to clean your teeth! 12pm – Midday is lunch and siesta time, when the guests get a chance to have a nap or go for a swim. I’ll use this time to get my own jobs done, writing emails to friends and family, cleaning my gear, and maybe going for a quick spot of fishing in a nearby dam. 4pm – Prior to our afternoon drive, the guests are called to afternoon tea before we board the vehicle for round 2! As it’s still hot at this time of day, we’ll head to somewhere the animals will be resting before they move off as the day cools down. We’re in luck as we come across a herd of elephants cooling off with a mid-afternoon swim, and we get some great views of them as they frolic together in the water. As the sun starts to sink in the sky, we find a patch of open ground with a clear view from which to watch the sunset. The drinks and snacks are broken out and we chat quietly as the light fades, admiring the spectacular view. 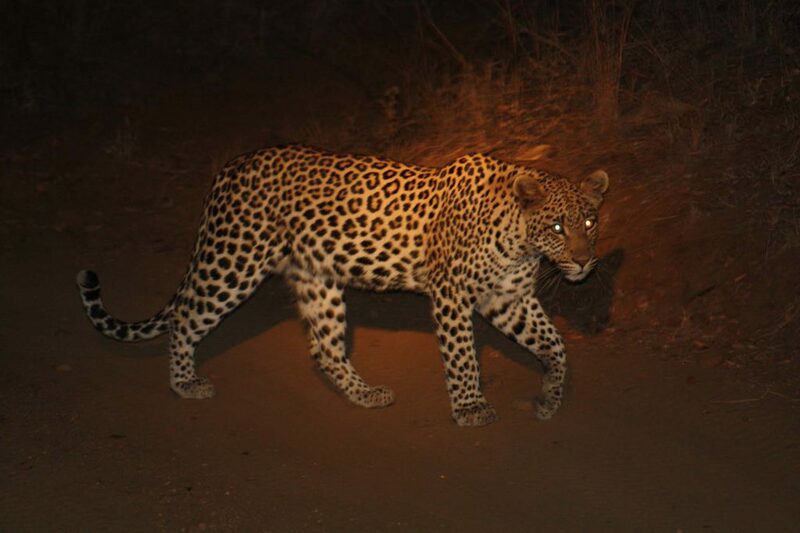 7pm – Driving back to camp in the dark, we come across a few denizens of the night like hyenas, jackals, and a brief glimpse of the feisty honey badger. Arriving back, we all head straight through to the boma where there’s a roaring fire waiting to warm up the guests and dinner is ready! As always, the food is a veritable feast and everyone eats their fill over stories and laughs. I regale the guests with a story about the time I once caught an elephant in my garden one night eating my trees, and how I eventually shooed him off! 9pm – Sitting round the fire for a nightcap, now is when our younger guests start to fall asleep (and a lot of the adults too!) and take their leave for bed. Those who do are escorted safely back to their rooms while the rest enjoy their drinks and share stories for a while longer. 10pm – Those guests who haven’t succumbed to the soporific effects of the fire and liqueurs are invited to take a quick night drive before bed to see some more nocturnal creatures. Dressing up warm, we go out in the vehicle with spotlights, scanning the surroundings to try and catch the eyes of animals reflecting back at us. Porcupines, civets, genets, owls, and springhares are some of our sightings, along with a great view of a leopard with its kill in a tree. Making a mental note to come back here in the morning to show the other guests, we head back to camp for our beds. 11pm – Making sure all guests are safely back to their rooms, I turn in myself for some well earned shut eye. I fall asleep to the calls of nightjars, hyenas and the distant roars of the lion brothers, looking forward to tomorrow’s experiences and another day in Africa.